Some say that romance is a lost art - but it's not. It's just hiding, waiting to be uncovered in some of the most beautiful places around the globe. A romantic break away feeds your very soul and cements the foundation of any couples relationship. So whether you are trying to show that special someone that they truly are special, making that all important proposal, or rekindling the flame you once had with your spouse, setting the stage is your first step to success. 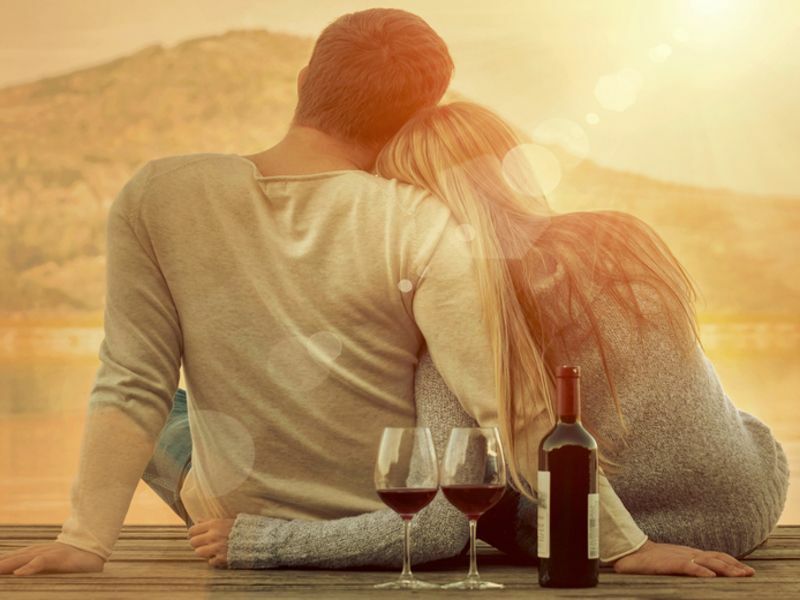 Whether you are searching for the perfect romantic spot closer to home in London or Paris, or halfway around the world in Puerto Rico, the following destinations are sure to fan the romantic embers in each of us. Who could leave Paris off a list of romantic places? You simply can't. Montmartre is the most romantic neighborhood in "the most romantic city in the world." Begin your tour of this hilly district with a ride up the Montmartre funicular as it glides along on its heavenly ascent to the Basilica of Sacre-Cœur at the summit of the highest point in the city. From here a dazzling view of Paris unfolds before you. Amble slowly, hand in hand, and wind your way along romantic back alleys and cobblestone streets, taking in the magic of the artist's corner of Place du Tertre, descending the stairs of Rue Foyatier. and concluding at 15 rue Lepic where Amelie Poulain immortalized romantic conjuring at Cafe des Deux Moulin. With more than 280 resplendent fountains, a "Rome-antic" tour of this city must undoubtedly center on a day of gastronomy. Enjoy a cafe latte near the Fountain of Triton followed by a tour of Palazzo Barberini. View the Barcaccia Fountain and make your way up (and down) the Spanish Steps for fantastic vistas of Rome and savour a calzone from an authentic Roman trattoria. At Piazza Navona, view the Fountain of the Four Rivers and the Fountain of the Moor followed by an alfresco dinner and soak up the sights and smells. A bewitching time to enjoy the Trevi Fountain is late at night when mystical illumination cast spells and shadows. Before the effects of a day filled with romance takes over drop in to Il Gelato di San Crispino, reported to be the best in Rome. In E.M Forster's novel "A Room with a View," Lucy Honeychurch found romance (and the view) in the orange and rose-scented hills of Fiesole overlooking Florence. Grab a table and soak up local flavor as art and culture surrounds you. Book your own room with a view at Hotel degli Orafi. Place the sights of London at you feet aboard the London Eye, the largest ferris wheel in Europe rising 443 majestic feet above regal London. Pop the question in a private capsule kitted out with a bottle of Pommery champagne and decadent truffles. The 30 minute rotation of the capsule allows plenty of time to overcome any objections. The "City by the Bay" is as photogenic as Grace Kelly. There's something almost transcendental about Golden Gate Bridge, the cable cars, Coit Tower, Alamo Square, and Lombard Street that naturally stirs up salacious appetite. We've been smitten for years and the affair hasn't seemed to ebb. The bar on the top floor of the Mark Hopkins Hotel offers stunning, 360-degree panoramic views. A gondola ride in Venice has a heavenly price tag, but is a memory to last forever. There is simply nothing quite as romantic as settling into a red velvet-cushioned gondola as your gondolier paddles slowly through quiet canals and under historic bridges as you drift back into the 16th and 17th centuries. A bottle of Valpolicella beforehand at the Piazza San Marco and your gondolier could sound like Pavarotti. Once considered the Paris of Central Europe, Budapest offers a heady blend of Eastern and Western European culture. Stroll over the Danube at Chain Bridge and take the funicular up to the Gothic Quarter with resplendent views over the city. Revel in centuries-old architecture and reasonably priced, hearty food and wine. Budapest is the only large city in the world with 118 natural thermal springs supplying nearly 20 million gallons of healing water every day. One of the most impressive is Gellert Spa. Think Venice without the crowds. Medieval Bruges abounds with Gothic churches, 17th-century mansions, sparkling canals and flower markets. Most other European cities you're looked at with disdain for eating on the street. Bruges responds with pedestrian-friendly pommes frites stuffed into a paper cone, dusted with salt and slathered with mayonnaise. Go to the Louvre for art. Go to Bruges for chocolate. Consider the possibilities at the town's official website. Savannah is for the hopeless romantic. Take a step back in time to an era where romance was still alive and well. Savannah sits along the Savannah River and is only about 20 minutes from the Atlantic. Some of America's most treasured eighteenth and nineteenth century architecture can be found in Savannah's large historic districts. With warm summers and cool winters, the weather in Savannah is usually agreeable. It's almost impossible to walk down the streets of old Savannah and not envision ladies in antebellum gowns riding alongside their beau in a horse-drawn carriage. If old fashioned romance is what you are looking for, then Savannah is your city. Imagine watching a breathtaking sunset from your Santorini villa perched on the side of a volcano overlooking the Mediterranean Sea. It's like being inside a Hallmark card. The views are like nothing found elsewhere on the planet. Black sand beaches cover most of the island but a gorgeous and unique red sand beach can also be found on Santorini. If you are feeling adventurous, there a number of islands close by, all within an easy day trip and just waiting to be explored. Romance seems to be carried on the wind in the Mediterranean and Santorini is a perfect example.